The man who shot dead six people inside in a Quebec City mosque in 2017 must serve 40 years in prison before being eligible for parole. 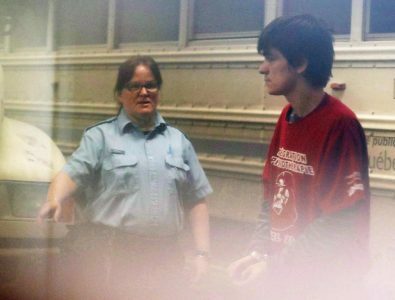 29-year-old Alexandre Bissonnette pleaded guilty last March to six counts of first-degree murder and six of attempted murder. The Crown had recommended that his six life sentences be served consecutively, which would have totalled 150 years. The Quebec Superior Court Justice says a sentence of 50 years or more would constitute cruel and unusual punishment. The defence had argued the sentences should be served concurrently, making him eligible for parole after 25 years. Six men, aged between 39 and 60, were killed when Bissonnette stormed the mosque and opened fire. The judge took six hours to read his decision. The longest prison sentence in Canada to date is 75 years without parole, which has been given to at least five triple killers since the law was changed in 2011 to allow consecutive sentences.